Sat., May 27, 2017, 12:41 p.m.
Former Zag Kyle Dranginis has picked up an award and a new address. Dranginis received all-league honors from the Fullcourt.dk, a Website that covers Denmark’s top professional basketball league. The versatile wing averaged 14.7 points, 5.5 rebounds and 4.2 assists in his first season with SISU Copenhagen. Dranginis had two triple-doubles, both against league champion Bakken. SISU advanced to the semifinals. Dranginis, a product of Skyview High in Nampa, Idaho, has signed a one-year contract to play for Romerstrom Gladiators Trier in Germany’s second division. 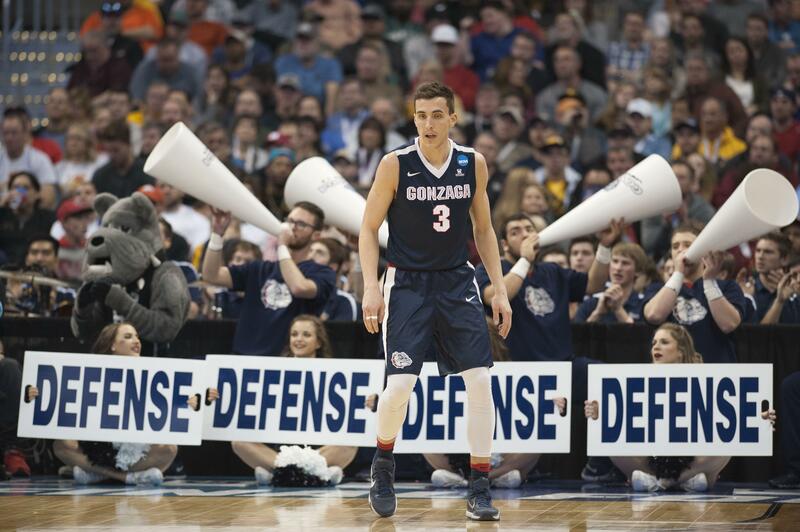 Dranginis averaged 4.9 points, 3.1 rebounds and 2.1 assists in 143 games for Gonzaga from 2012-2016. Published: May 27, 2017, 12:41 p.m.